The Bill of Rights Defense Committee/Defending Dissent Foundation is honored to bestow upon Manzoor Cheema the July 2016 Patriot Award. Manzoor, a longtime activist, has worked closely with BORDC/DDF National Field Organizer George Friday on our work to counter Islamophobia. “Manzoor is leading activists in our state [North Carolina] to confront all forms of discrimination, and stand up for marginalized communities and build allies across different issues,” said George. Manzoor has a longstanding commitment to social justice and human rights. In 1999, while a Veterinary Student in Lahore, Pakistan, he was involved in the struggle for economic rights for subsistence farmers. More recently, Manzoor has been involved in campaigning against Islamophobia and racism more broadly. 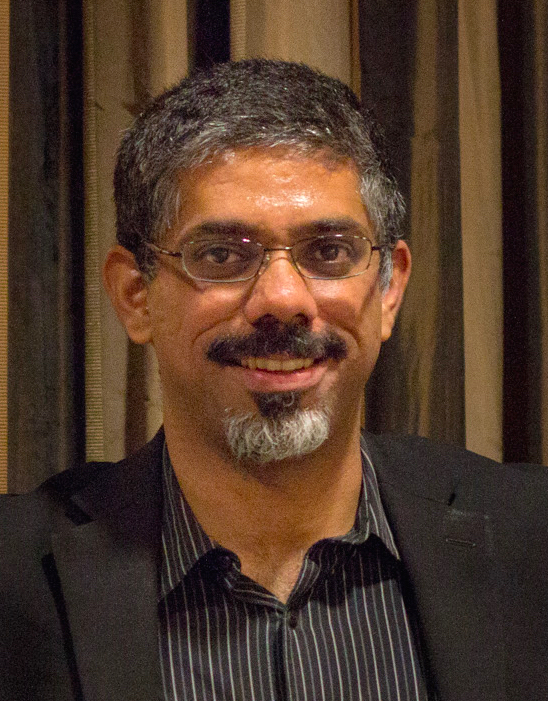 In 2013, Manzoor worked with members of Black Workers for Justice to co-found Muslims for Social Justice, an organization committed to pursuing Muslim Liberation Theology. Several incidents within the progressive community made it apparent to Manzoor that an anti-oppression training focused on Islamophobia was necessary. Working with George, a longtime anti-racism trainer, and others, Manzoor came up with a training that not only challenged individuals’ assumptions about Muslims, but highlighted the role that government policy has played in fostering Islamophobia. The training has already been piloted in North Carolina, in Durham, Chapel Hill, and Fayetteville and has often been accompanied by screenings of films on entrapment. Later this month Manzoor and George will be in Chicago to facilitate “training of trainers”—enabling other activists to give the training far and wide. Please Contribute to help us bring the Countering Islamophobia training to more cities. Manzoor has also supported the struggle against HB2, North Carolina’s notoriously anti-LGBT, anti-workers’ rights bill. He supported the work of #BlackLivesMatter QTPOC (Queer Trans People of Color Coalition) who took a lead in organizing against the bill, including helping to organize marches and rallies at the state capital, as well as in Durham and Chapel Hill. Manzoor has shown a deep commitment for human rights. In doing so, he has worked across activist communities bringing together allies in the fight for social justice and against racism. His work has not only contributed to social justice in North Carolina, but has helped shape BORDC/DDF’s national work against Islamophobia. With a “training of trainers” taking place, Manzoor is helping to make sure activists across the country are included in his groundbreaking work. It is our immense privilege to give him this month’s Patriot Award.